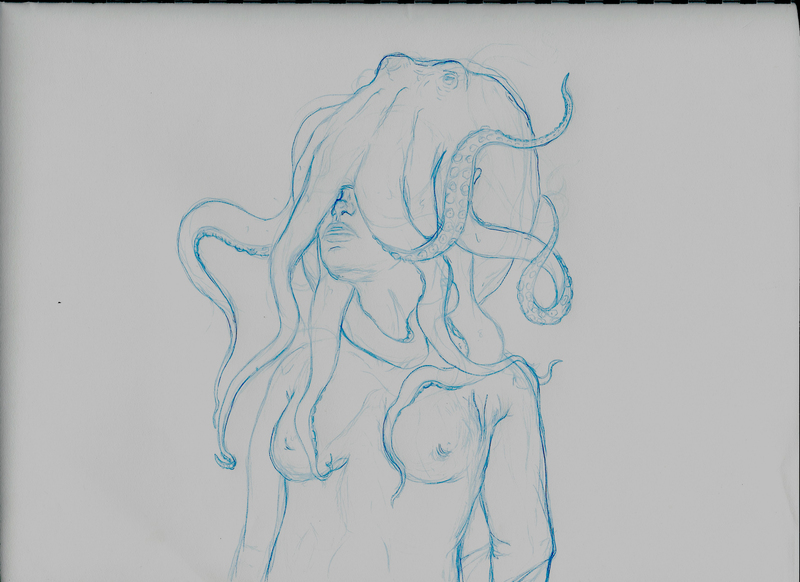 Can I octopi your mind? Upate!!! Its a work in progress but I like the progress thus far. Something I am currently working on. I had such a weird dream about being lost at sea with an octopus attached to my head. 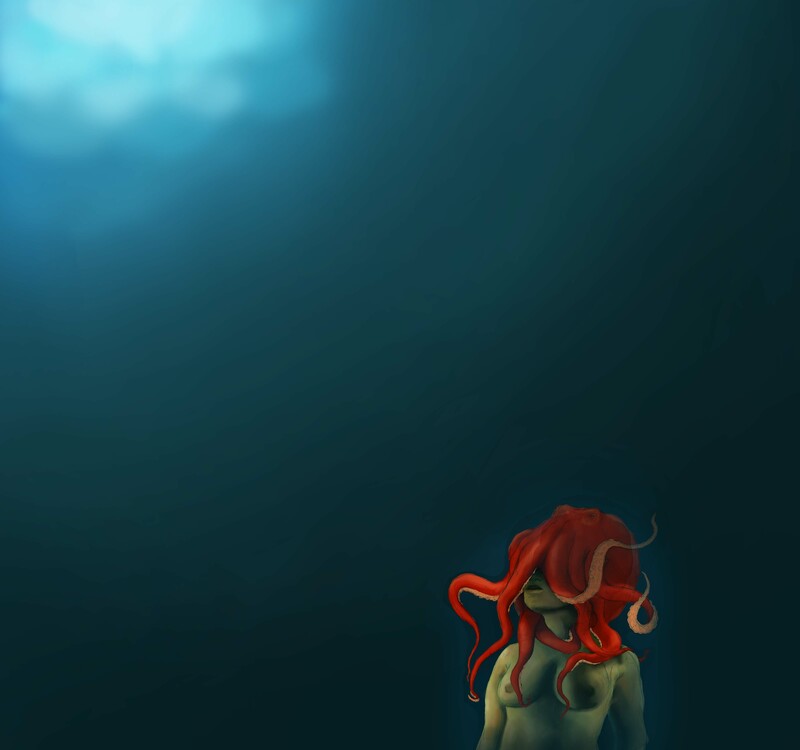 It was my eyes and hears in the vast and dark waters of the ocean.